recently like I already said i have been reading quite a lot!! So wanted to make a new type of bookmark again !! and found that I had these small paperclips and lots of buttons !! it is also quick to do !! 1.Decide the combination of buttons and the paper clips. 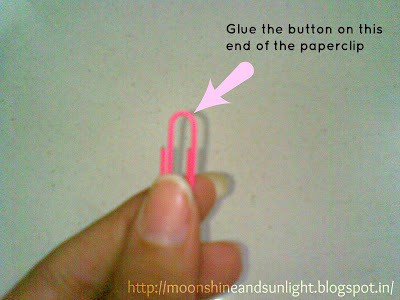 4.with something hard press the paperclip on the button for about 10 seconds to keep it firm. 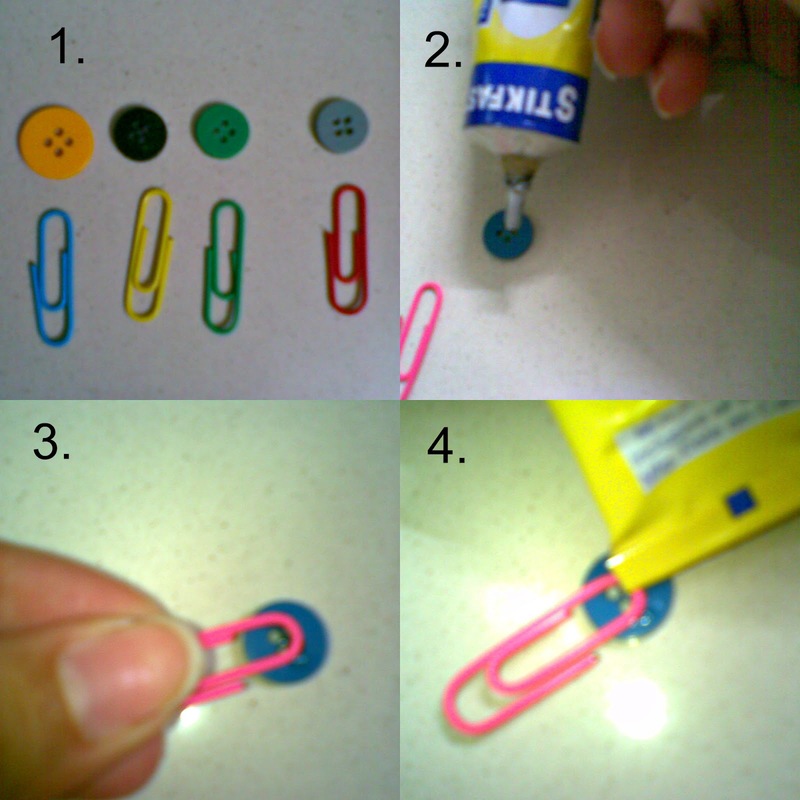 And after the glue is set ,your done with the bookmarks!! Like always i'll say Experiment with it ! let me know how it turned out for you ! and the materials required lay around the house !! creative! very creative ! 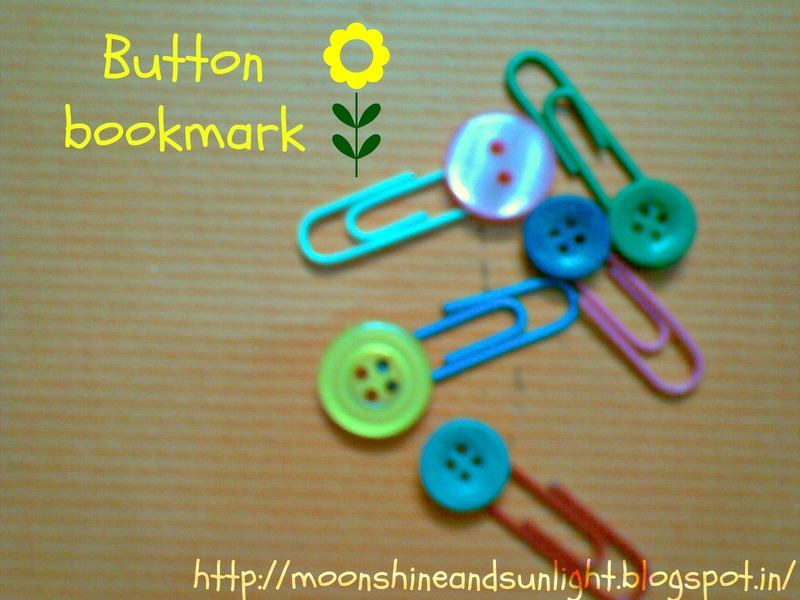 Priyanjana the button bookmark is fabulous and simple to make !! Aweee!! this is super cute.. 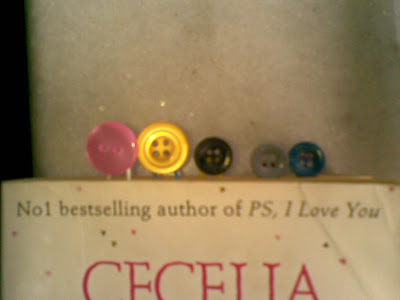 I am a crazy fan of buttons and I am totally in love with ur idea! such a cute DIY, Thanks for sharing.